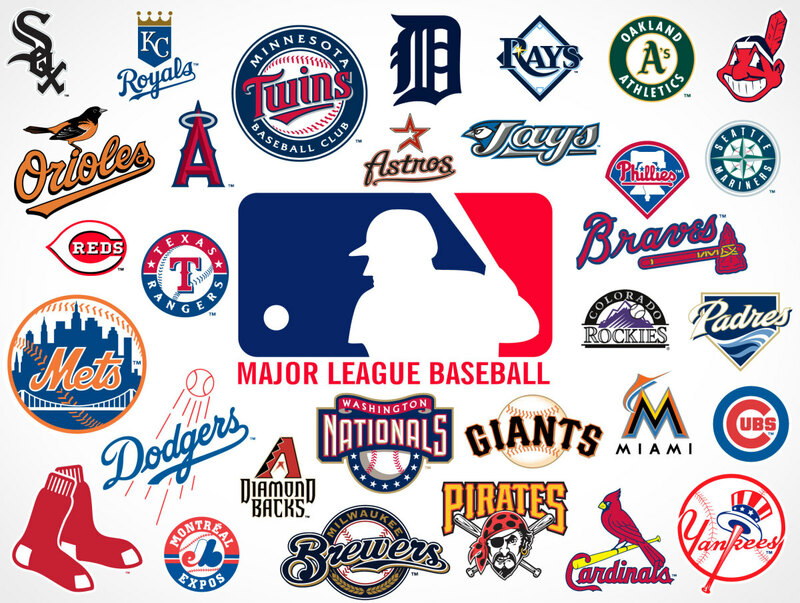 Baseball Stadiums "In the Beginning"
In its infancy, professional baseball was not a proven business entity. 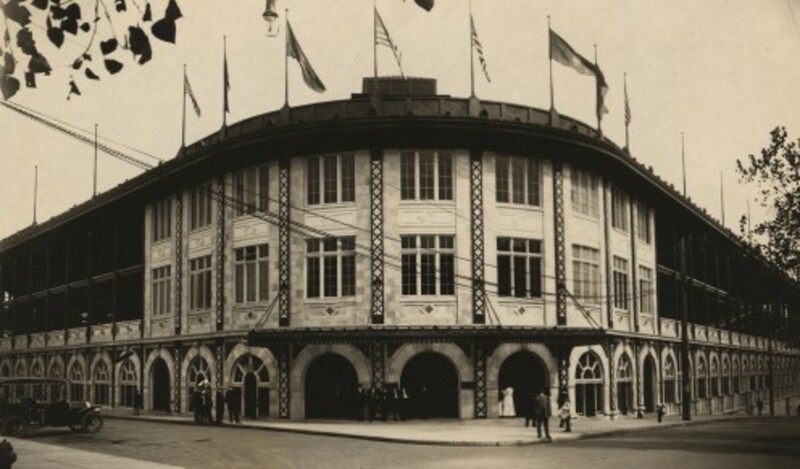 Wooden stadium structures were inexpensive to build; that was attractive to team owners who were not assured that professional baseball would turn a profit. 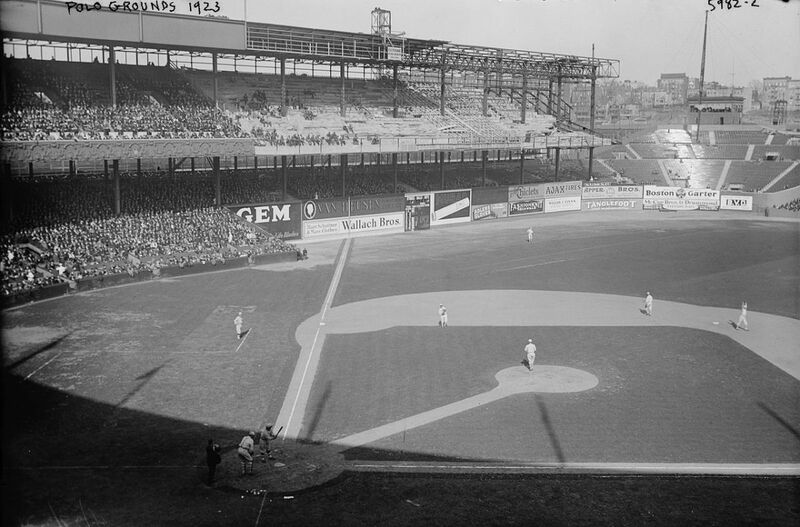 In the late 19th and early parts of the 20th centuries, baseball stadiums were mostly made of wood; seats were mounted on various levels, and outfield walls contained product advertisements. However, wooden stadiums were not long-term facilities; they did not age well and could catch fire. Some of the wooden stadiums in use at the time were Lloyd Street Grounds (Milwaukee, WI, 1895); Robinson Field (St. Louis, MO, 1893); Recreation Park (Detroit, MI, 1881) and Huntington Avenue Grounds (Boston, MA, 1901). As baseball became a popular and profitable source of entertainment, owners were forced to look at long-term facility solutions. 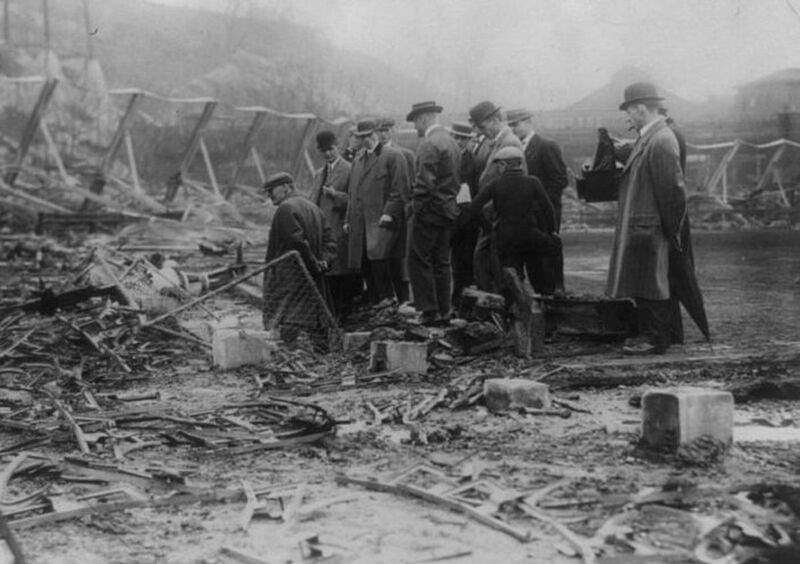 Several wooden baseball parks were destroyed by fire; American League Park (Washington Senators; 1901-1911), National League Park (Philadelphia Phillies; 1887-1894) and the Polo Grounds III (New York Giants; 1890-1911). Two of them were rebuilt with fire-resistant materials (Baker Bowl; Phillies) and (Polo Grounds IV; Giants). 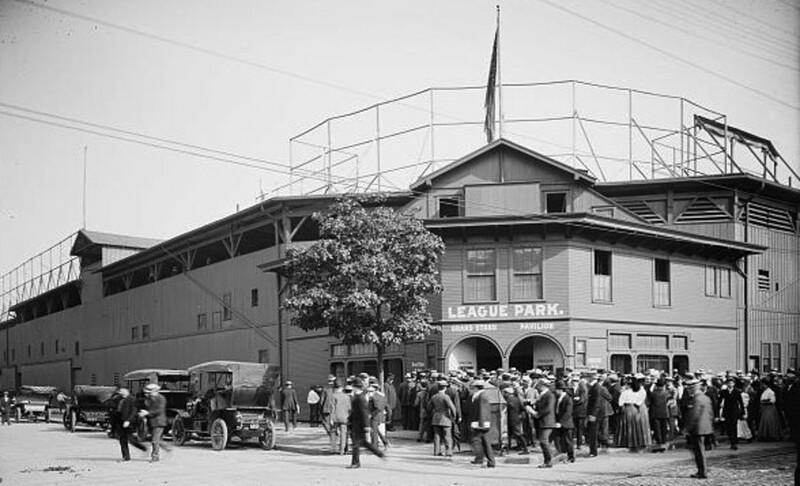 Other “classic” wooden parks of the 1800s and 1900s included Bennett Park (Detroit Tigers; 1896-1911), Columbia Park (Philadelphia Athletics; 1901-1909), Eastern Park (Brooklyn Grooms; 1891-1897), Oriole Park, I-IV (Baltimore Orioles; 1882-1902), Palace of the Fans (Cincinnati Reds; 1902-1911) and West Side Park, I-II (Chicago White Stockings, Chicago Cubs; 1885-1915). The “golden age of baseball” featured tiered stadiums constructed with concrete, steel and two decks of wooden seating. Shibe Park/Connie Mack Stadium. 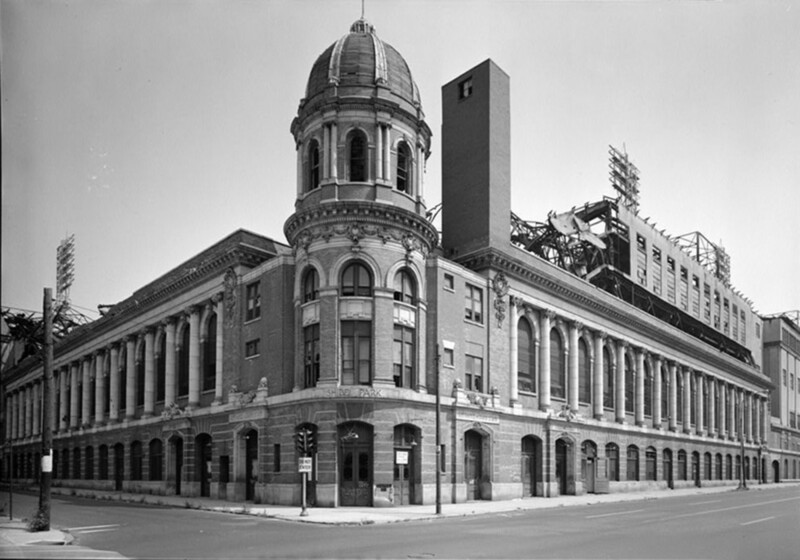 1909-1970 (Demolished in 1976); Philadelphia, PA.
Shibe Park/Connie Mack Stadium (1909-1970) was the first concrete and steel stadium -- home to baseball’s Philadelphia Athletics (American League; 1909-1954), Philadelphia Phillies (National League; 1938-1970) and the National Football League’s Philadelphia Eagles (1940, 1942-1957). Philadelphia’s National League Park (also called Baker Bowl and home to the Phillies from 1887 to 1938), was rebuilt in 1894 with steel and brick after the team’s old wooden stadium burned down. 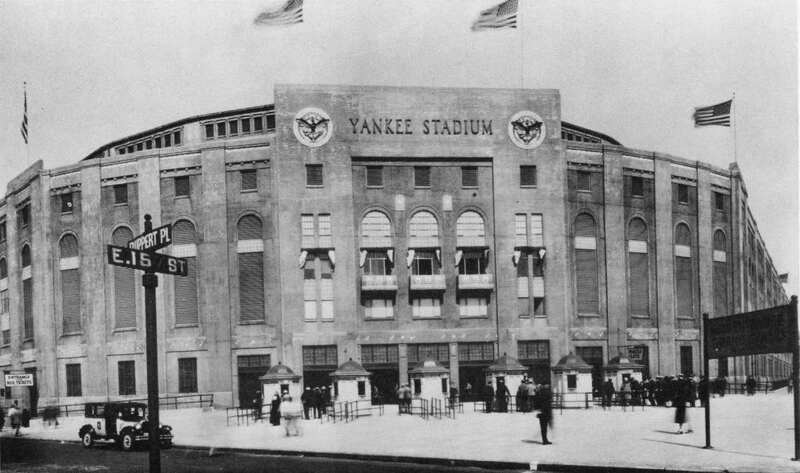 Dubbed “The House That Ruth Built” to coincide with the career of New York Yankee slugger Babe Ruth, the New York Yankees built the “original” Yankee Stadium in 1923; a three-deck structure at East 161st Street and River Avenue in the Bronx (New York City). The ballpark was renovated in 1973, reopened in 1976, and remained the home of the Yankees until 2008. “Old” Yankee Stadium has been torn down; the “new” Yankee Stadium opened in 2009, and it contains many historical structures of the original facility. It is located across the street from where the House that Ruth Built stood. The basic field dimensions are nearly identical (distance from home plate to the backstop is 20 feet less in the “new” Yankee Stadium). 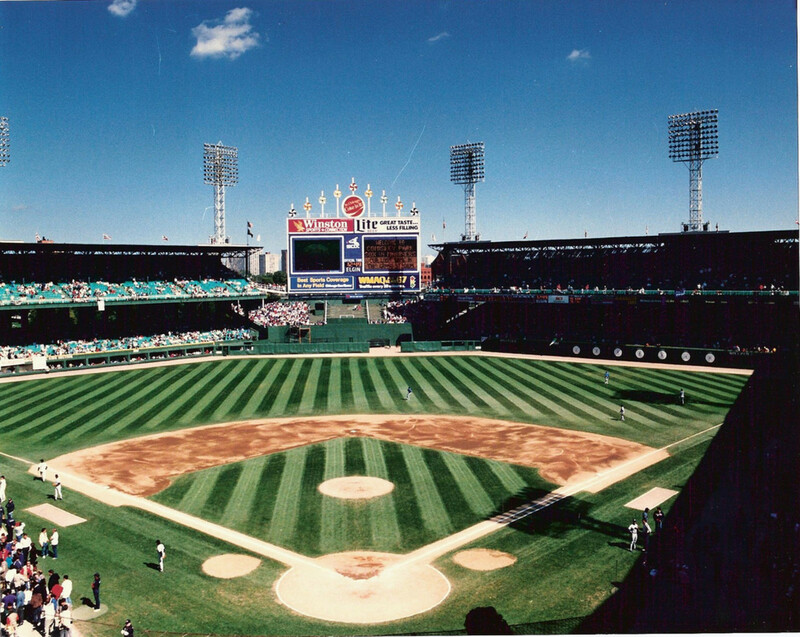 Comiskey Park (324 W. 35th St., Chicago, IL: Chicago White Sox; AL; 1910-1990). 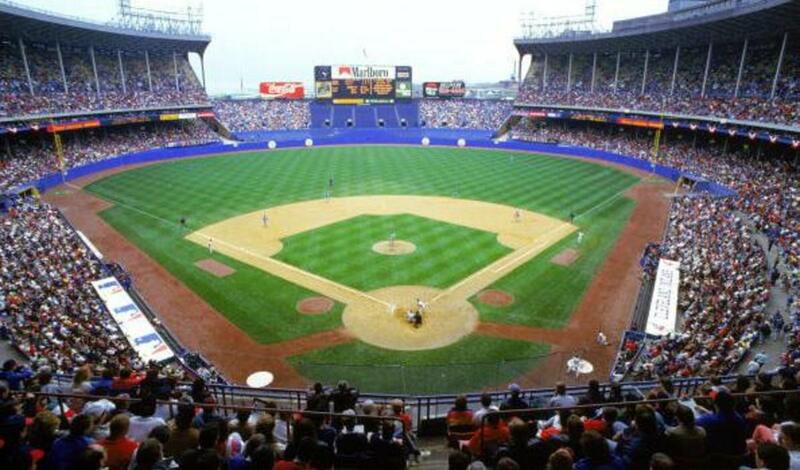 Comiskey was the home of the Chicago White Sox until 1990; the park was torn down in 1991. The White Sox now play at Comiskey Park II, also known as U.S. Cellular Field (333 W. 35th St.). Crosley (Redland) Field (Findley St./Western Ave., Cincinnati, OH: Cincinnati Reds; NL; 1912-1970). Crosley replaced League Park and Palace of the Fans; the Reds played there until 1970, moving to Riverfront Stadium (201 E. Joe Nuxhall Way) until 2002. Riverfront closed in 2002; the land now contains the Cincinnati Reds Hall of Fame and Museum. The Reds play at the Great American Ballpark (100 Joe Nuxhall Way). 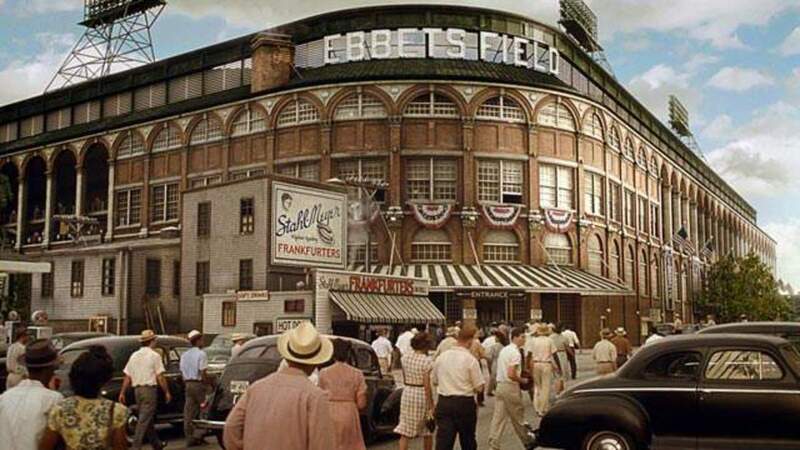 Ebbets Field (55 Sullivan Place, Brooklyn, NY: Brooklyn/Los Angeles Dodgers; NL; 1913-1958). Currently a residential neighborhood (Flatbush), Ebbets Field was a New York staple before the Dodgers moved to Los Angeles. The team has played at Dodger Stadium (Chavez Ravine; 1000 Elysian Park Ave.) since 1962. 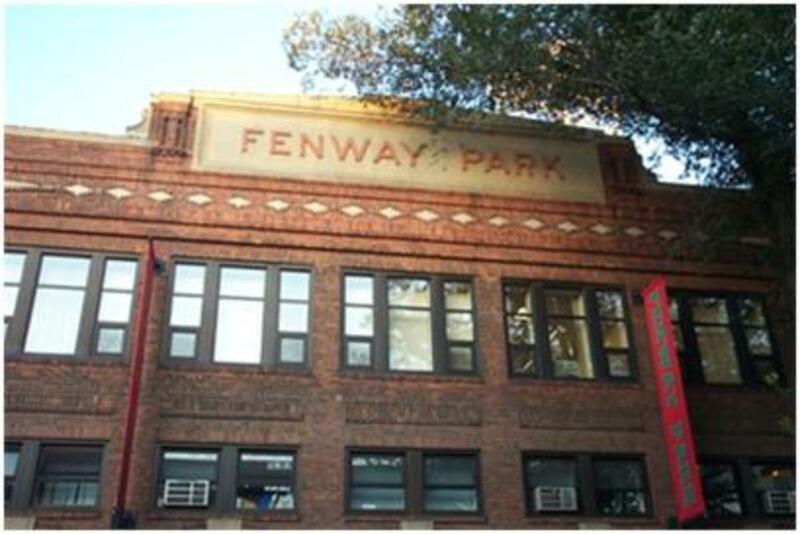 Fenway Park (4 Yawkey Way; Boston, MA: Boston Red Sox; AL; 1912) is still operating today, hosting generations of Red Sox fans. 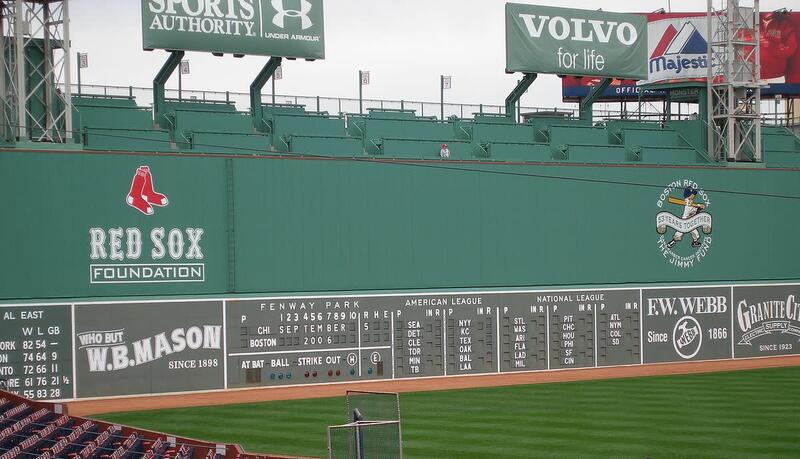 Although the ballpark has been repaired and updated over the years, the “Green Monster” (the stadium’s 37-foot high left field wall) still has a manually-operated scoreboard. Forbes Field (230 S. Bouquet St., Pittsburgh, PA: Pittsburgh Pirates; NL; 1909-1970). Forbes Field, in the neighborhood of Oakland, Pennsylvania, was built adjacent to Schinley Park—the outfield wall and flagpole are still standing. The land is now part of the University of Pittsburgh. The Pirates played at Three Rivers Stadium (600 Stadium Circle) from 1970-2000; Three Rivers was torn down in 2001. The Pirates now play at PNC Park (115 Federal St.). Griffith Stadium (Georgia Ave./Fifth St. & W. St./Florida Ave. NW; Washington, D.C.: Washington Senators/Minnesota Twins; AL; 1911-1961). A wooden stadium (Boundary Field/National Park) was originally on the site it was destroyed by fire, the area is now a hospital. 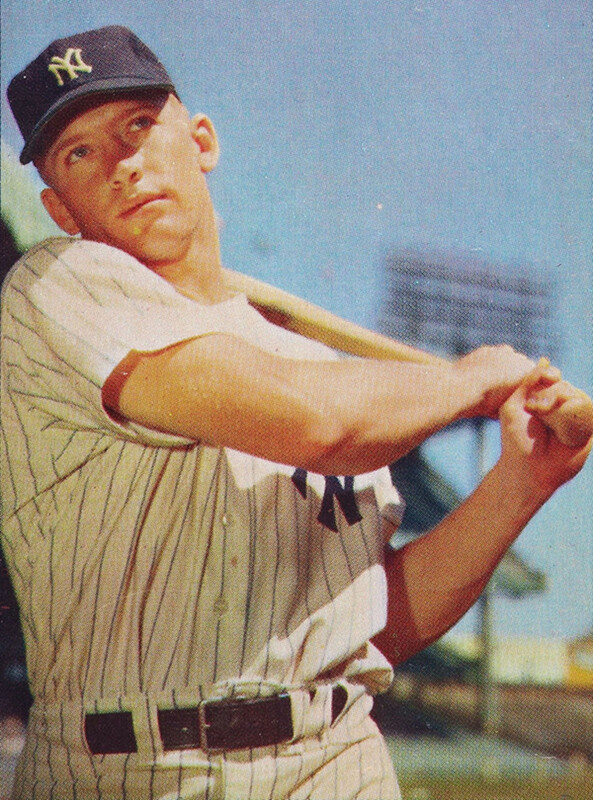 The Washington Senators moved to Minneapolis, Minnesota in 1961. 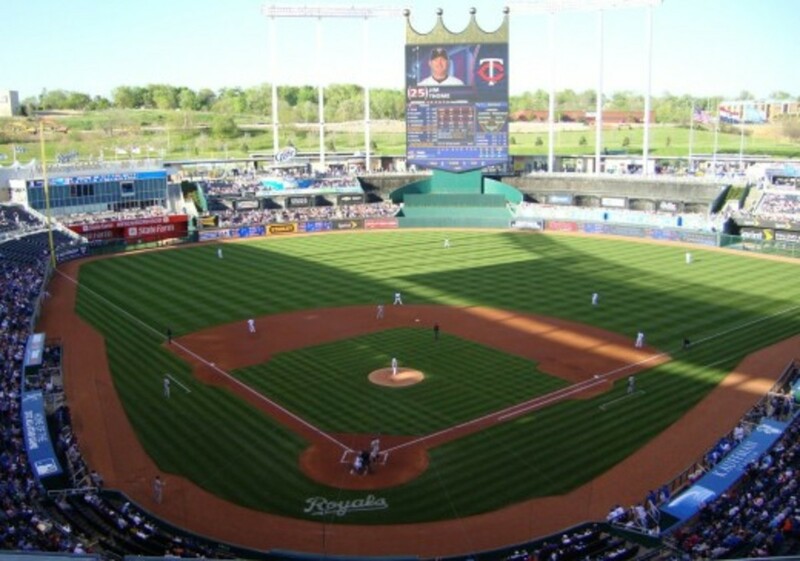 The Minnesota Twins played at Metropolitan Stadium (800 Cedar Avenue South, Bloomington, MN: 1961-1981; now the site of the Mall of America) and the Hubert H. Humphrey Metrodome from 1982-2009. The Twins now play at Target Field (1 Twins Way/3rd Ave.) in Minneapolis. League Park (E. 66th St./Lexington Ave., Cleveland, OH: Cleveland Indians; AL; 1891-1946, demolished in 1951). The site of League Park /Dunn Field is a currently a public park in downtown Cleveland. 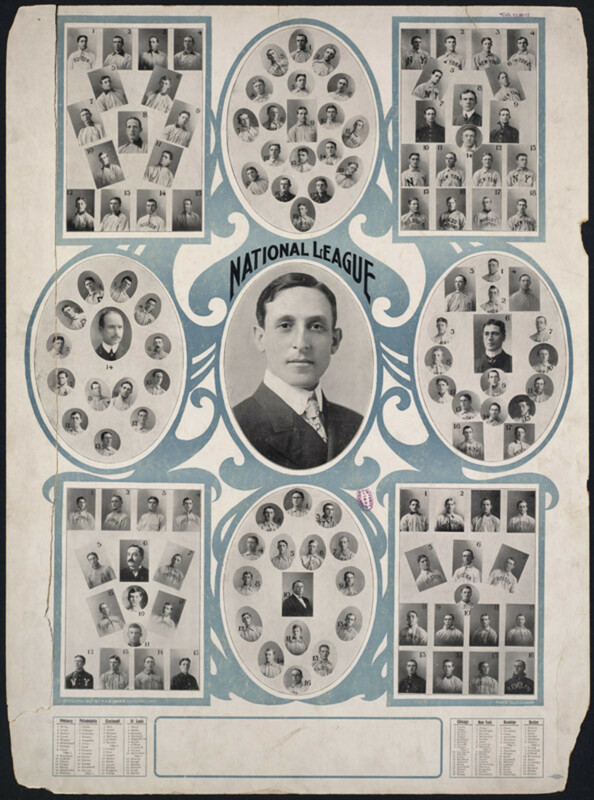 Several Cleveland baseball teams played at League, including the Indians, who began their stint in 1915. 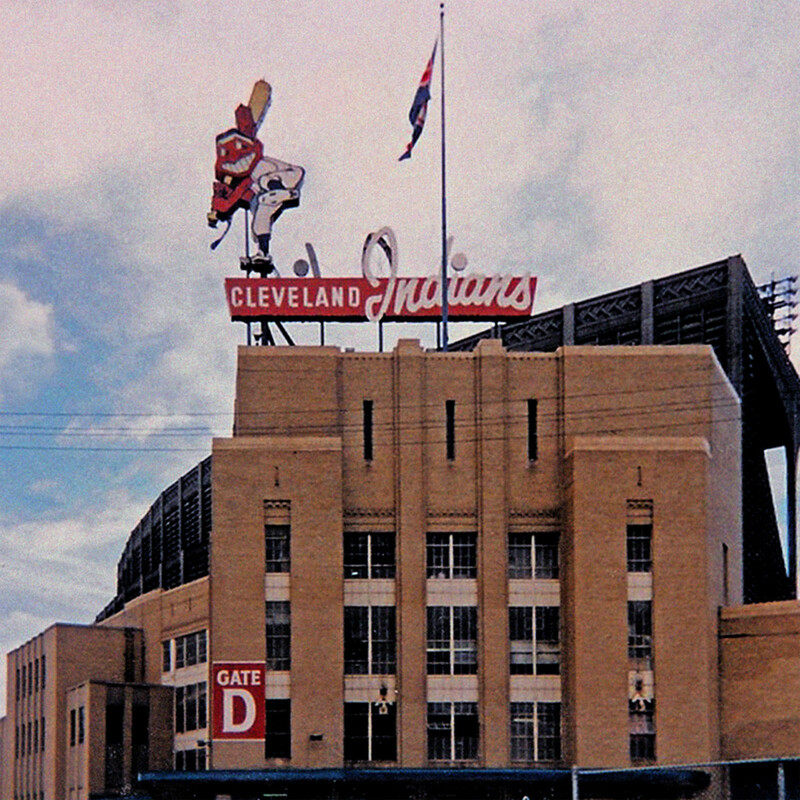 The Cleveland Indians moved to Municipal Stadium in 1932 and stayed through the 1933 season. The Tribe returned to the smaller, more intimate League Park in 1934 but began playing summer weekend and holiday games at Municipal in 1936. 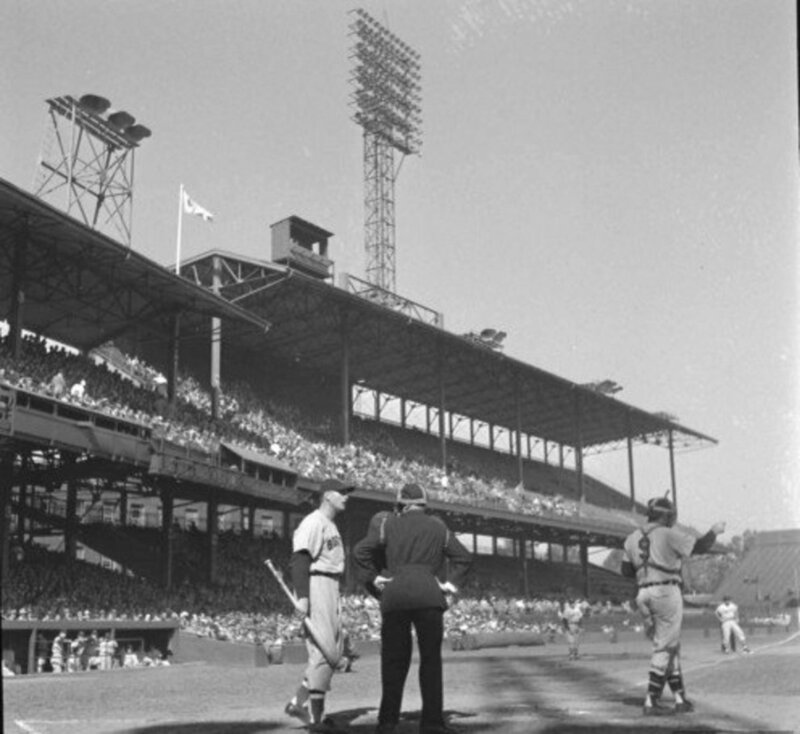 In 1939, because Cleveland Stadium had lights (League did not), the team hosted night games in the big ballpark and by 1940, was at Municipal for most of its home schedule. 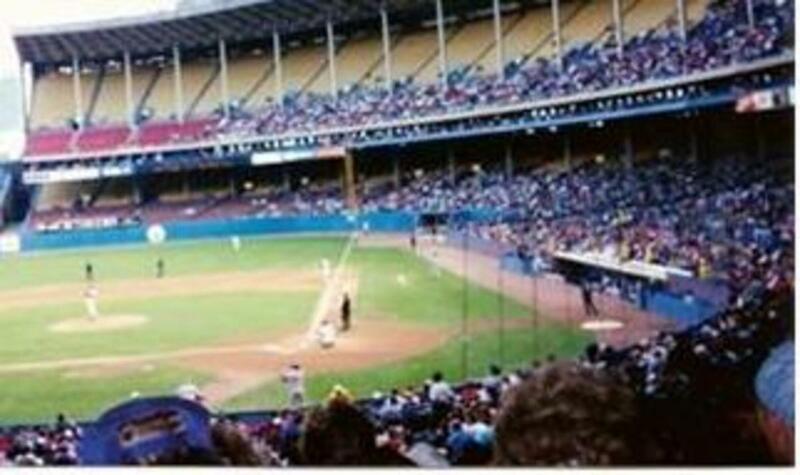 By 1946, the Indians played all their games at Cleveland Municipal Stadium; staying until the end of the 1993 season. The site is now home to a stadium built for the NFL’s Cleveland Browns. The Indians play at Progressive Field (2401 Ontario St.). Polo Grounds l to IV (W. 155th St./8th Ave., Manhattan, NY: New York Metropolitans (NL and American Association; 1880-1887), Giants (NL; Polo Grounds I: 1883-1888, Polo Grounds II: 1889-1890, Polo Grounds III: 1891-1911, Polo Grounds IV: 1911-1963; Yankees (AL; 1913-1922), Giants (NL; 1911-1957), Mets (NL; 1962-1963). 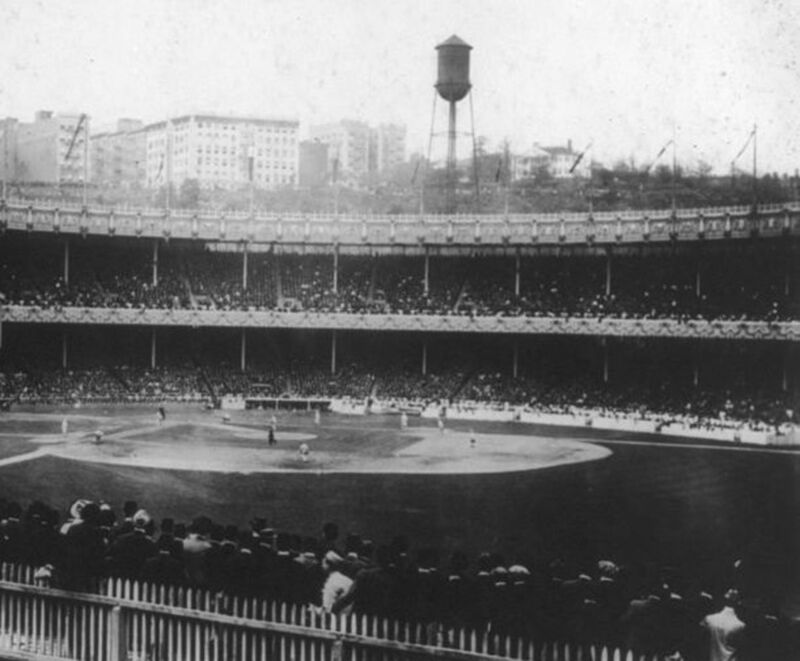 The original Polo Grounds was built in 1876 for the sport of polo. The stadium was torn down in 1964; the area is now a residential neighborhood. Sportsman’s Park/Busch Stadium (2911 N. Grand Blvd., St. Louis, MO: St. Louis Browns (AL; 1902-1953), St. Louis Cardinals (NL; 1920-1966). Sportsman’s Park opened in 1901, was renovated and expanded several times and then torn down in 1966; the site now contains commercial businesses and offices. The St. Louis Browns moved to Baltimore in 1954, changing the team’s name to Orioles. 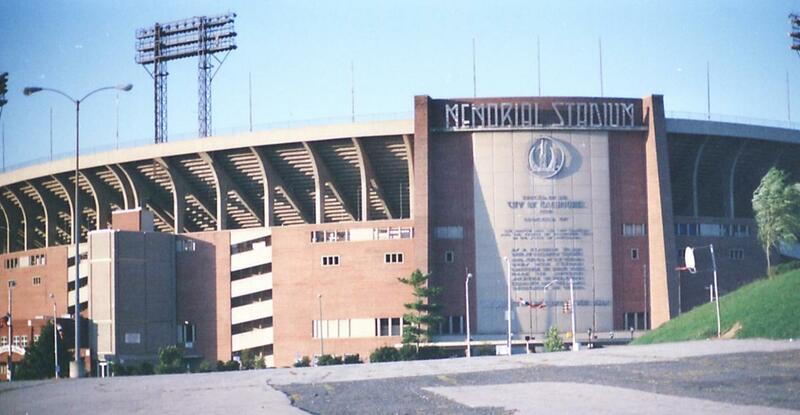 The Orioles played in Baltimore Memorial Stadium (900 E. 33rd St., Baltimore, MD) from 1954-1991. 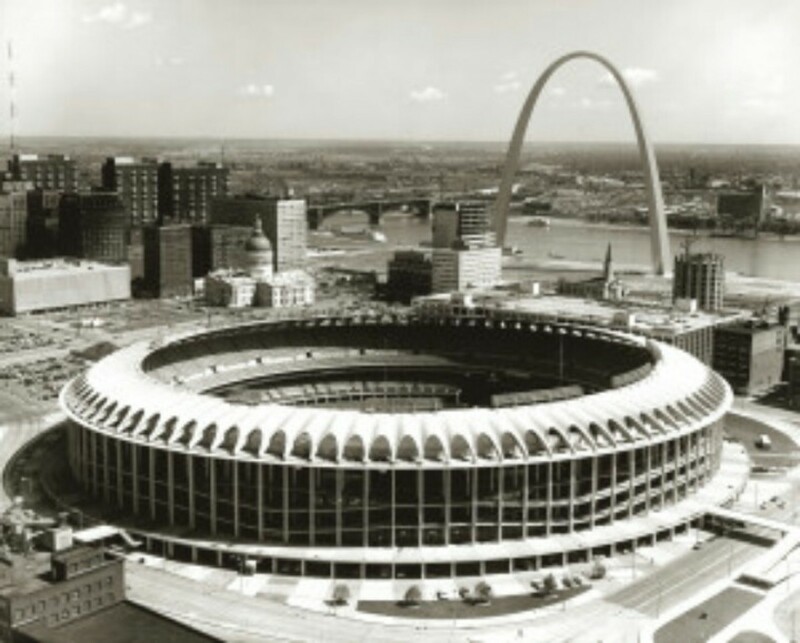 The St. Louis Cardinals played at Busch Stadium II (250 Stadium Place) from 1966 to 2005; it was torn down and is now part of the nearby Busch Stadium III (700 Clark Ave.) complex. 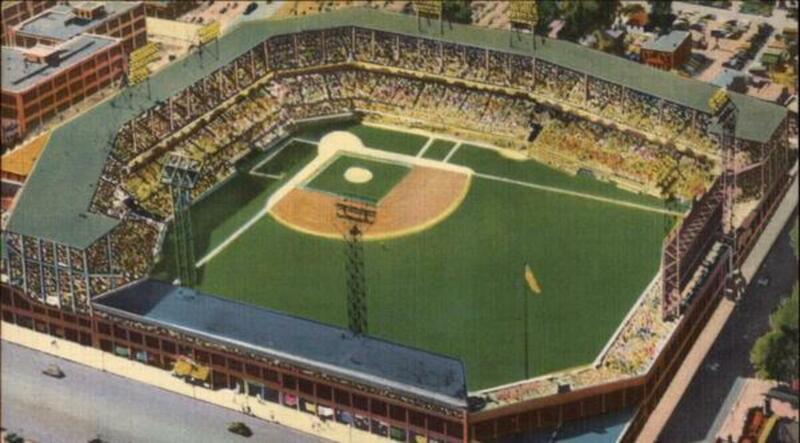 Tiger Stadium/Briggs Stadium/Navin Field (2122 Trumbull St., Detroit, MI: Detroit Tigers; AL; 1912-1999). The stadium was torn down, beginning in 2008; parts of the facility are slated for use in other architectural structures in the Detroit area. The Tigers currently play at Comerica Park (2100 Woodward Ave.). Wrigley Field/Cubs Park/Weeghman Park(1060 W. Addison St., Chicago, IL: Chicago Cubs; NL; 1914). Considered a “daytime” stadium for decades, lights were added to Wrigley in 1988 to allow baseball games to be played after sundown. 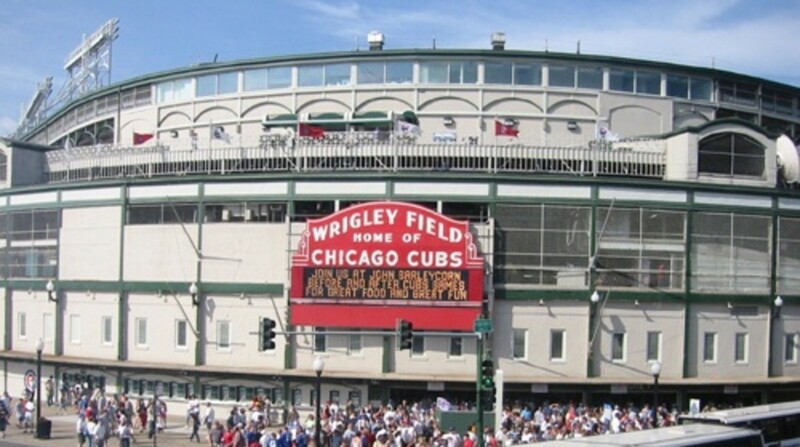 Wrigley Field was designated as a Chicago landmark in 2004 and continues to be the home of the Cubs. Angel Stadium of Anaheim/Anaheim Stadium/Edison International Field of Anaheim (200 Gene Autry Way, Anaheim, CA: California/Anaheim/Los Angeles Angels; AL; 1966). 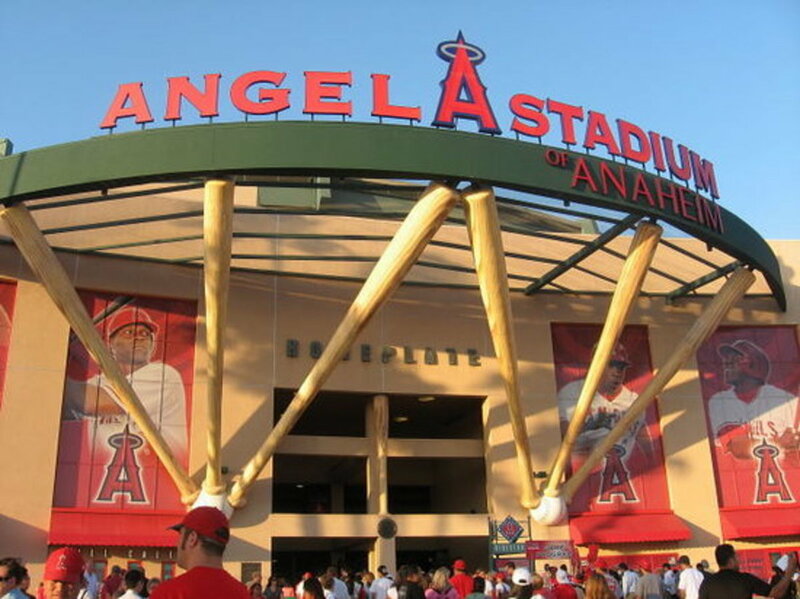 After opening the ballpark in 1966 and despite a few team name changes and renovations, the Angels continue their play at the stadium in Anaheim. Fulton County Stadium (521 Capitol Ave. SE, Atlanta, GA; Atlanta Braves; NL: 1965-1996). The stadium opened in 1965 but the Atlanta Braves, after leaving Milwaukee, played their first game at Fulton County Stadium in 1966. The ballpark was torn down in 1997; it is now a parking lot where there is a monument marking Hank Aaron’s historic 715th home run. 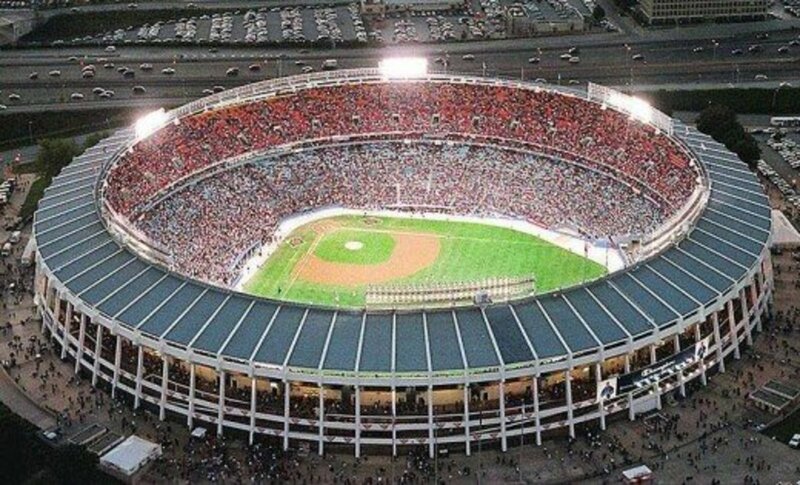 The Braves currently play at Turner Field (755 Hank Aaron Dr.). Candlestick Park (602 Jamestown Ave., San Francisco, CA; San Francisco Giants; NL; 1960). 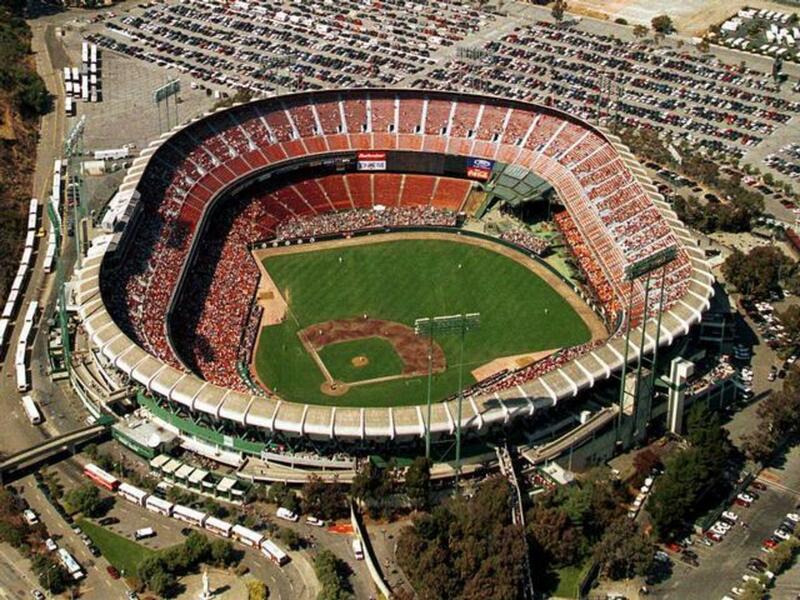 Candlestick, arguably considered the first “modern” park of its time, was constructed with modified concrete. Many players and fans didn’t like the baseball stadium because it was windy, damp, and could become quite cold. After the Giants left, the stadium had been operating (but not for baseball). The Giants play ball at AT&T/Pacific Bell/SBC Park (24 Willie Mays Plaza) which opened in 2000. San Francisco’s NFL team had played at Candlestick; the 49ers now have a new stadium. Candlestick Park was demolished in September 2015. Exhibition Stadium/Canadian Exhibition Stadium (Toronto, Ontario; Toronto Blue Jays; AL; 1959-1989). 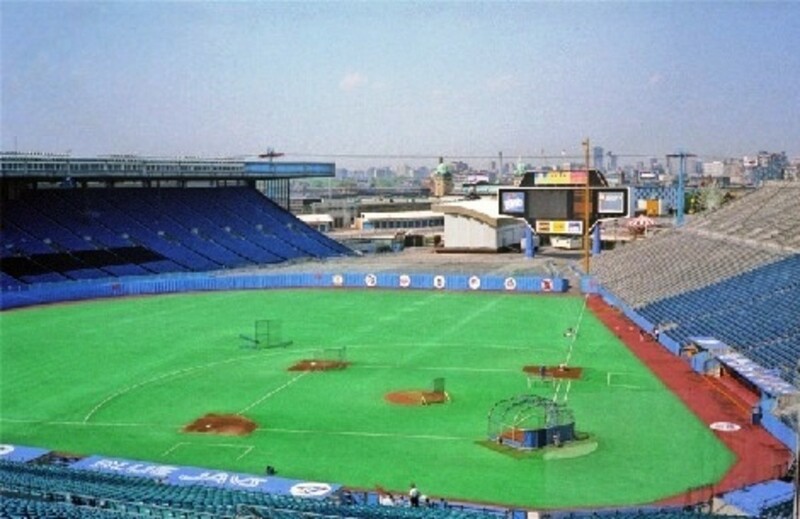 Originally built for football, the ballpark was used by the league’s expansion-team Toronto Blue Jays from 1977 until 1989. 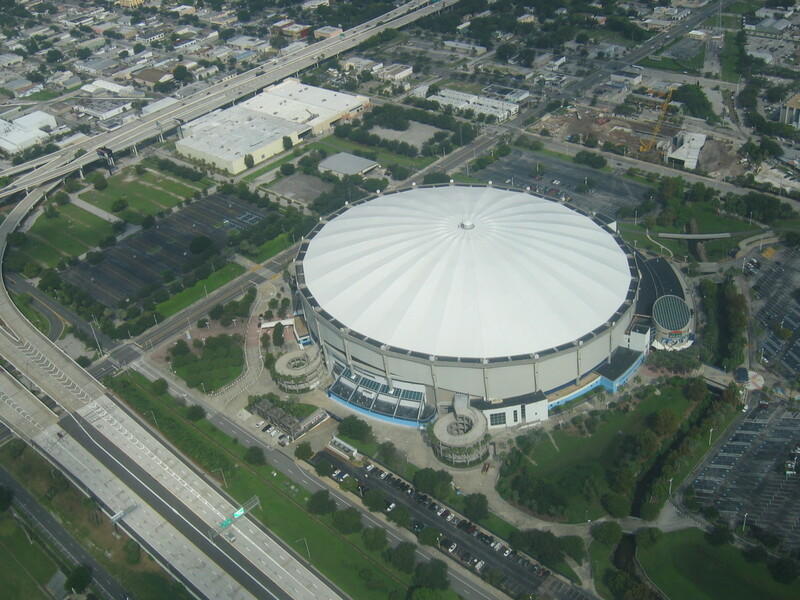 The football/baseball stadium was torn down in 1999; the site now holds a soccer stadium. The Toronto Blue Jays play at the Rogers Centre, also known as the SkyDome (One Blue Jays Way, Toronto, Ontario). Jack Murphy Stadium/San Diego Stadium (9449 Friars Rd., San Diego, CA: San Diego Padres; NL; 1967). The Padres left “The Murph” at the end of 2003; they now play baseball at Petco Park (19 Tony Gwynn Dr.). Kauffman Stadium (One Royal Way, Kansas City, MO: Kansas City Royals; AL; 1971). 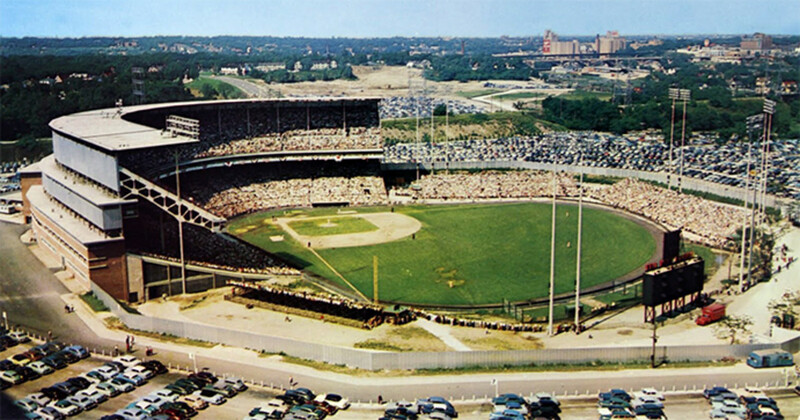 The stadium was originally planned for the Kansas City Athletics, but the team moved to Oakland, California at the beginning of the 1968 season. In 1969, the Royals entered the league as an expansion team. Mile High Stadium (2755 W. 17th Ave., Denver, CO: Colorado Rockies; NL 1993-1994). Mile High, previously known as Bears Stadium, opened in 1948 for use by the Western League’s Denver Bears baseball team. From 1960 to 2000, football’s Denver Broncos called Mile High home. Baseball’s expansion Colorado Rockies played at Mile High Stadium from 1993 to 1994 but the team now plays at Coors Field in downtown Denver. Mile High Stadium was torn down in 2002 and was made into a parking lot. 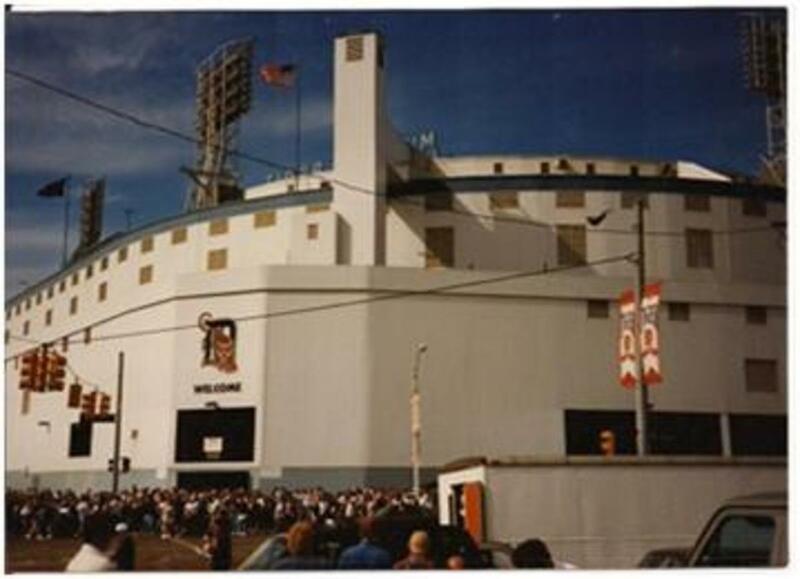 Milwaukee County Stadium/County Stadium (210 S.46th St., Milwaukee, WI: Milwaukee Braves (1953-1965) and Milwaukee Brewers (1970-2000); AL/NL; 1953-2000). The Boston Braves moved to Milwaukee to start the 1953 season, and the financially struggling Seattle Pilots were moved to Wisconsin to become the Brewers. When the Braves moved to Atlanta in 1966, the Brewers moved into County Stadium. The facility was torn down in 2001 to provide parking space for nearby Miller Park (One Brewers Way), home of the Brewers. A little league baseball field also shares the former Milwaukee County Stadium site. Oakland-Alameda County Coliseum (7000 Coliseum Way, Oakland, CA: Oakland Athletics; AL; 1966). The A’s still call this facility home; although the name of the building has changed a few times. As of this writing, the Athletics are continuing their quest for a new stadium. Robert F. Kennedy Memorial Stadium (2400 E. Capitol St., Washington D.C.: Washington Senators; AL; 1962-1971). 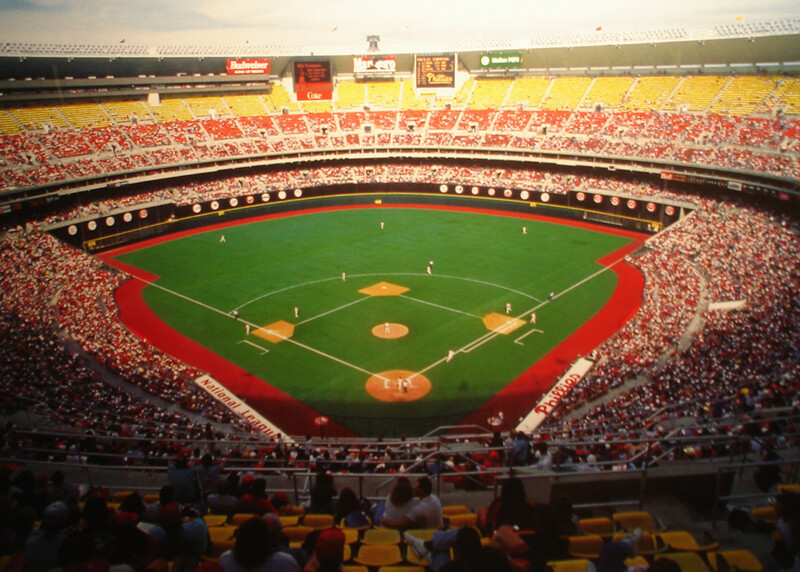 RFK stadium has served a number of baseball, football and soccer teams over the years and continues operations. 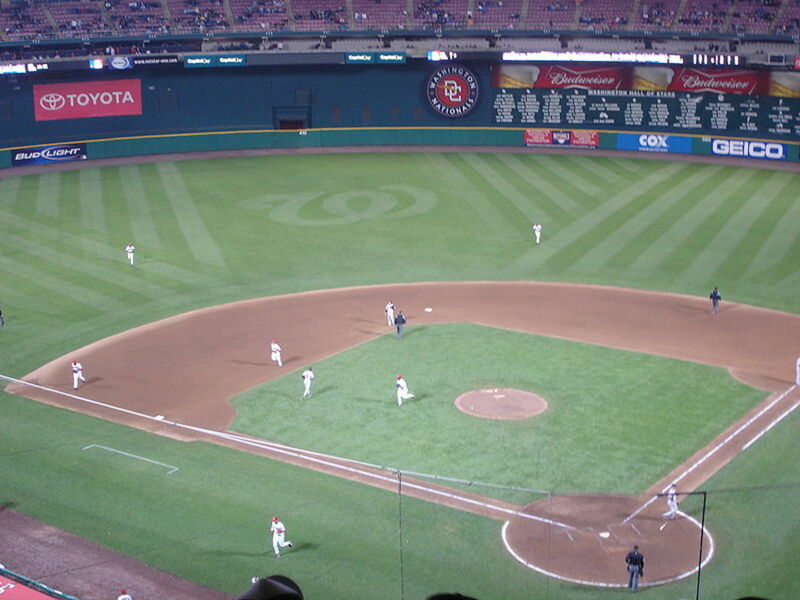 The Washington Nationals (NL) played at RFK from 2005-2007; the team is now at Nationals Park (1500 S. Capitol St. SE). Shea Stadium (123-01 Roosevelt Ave., Flushing, NY: New York Mets; NL; 1964-2008). 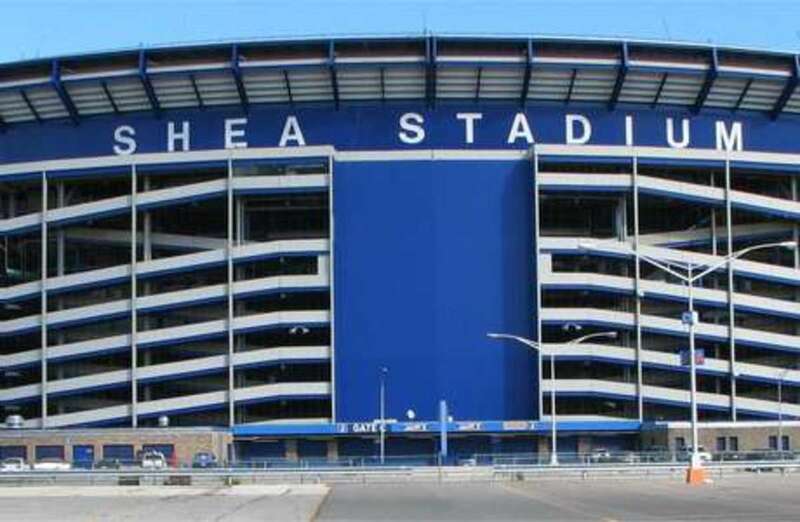 Over its 44 year history, Shea Stadium hosted baseball’s Mets and Yankees in addition to the NFL’s New York Giants and New York Jets. The facility was torn down in 2009 to provide parking space for nearby Citi Field (126th St./Roosevelt Ave); the current home of the Mets. 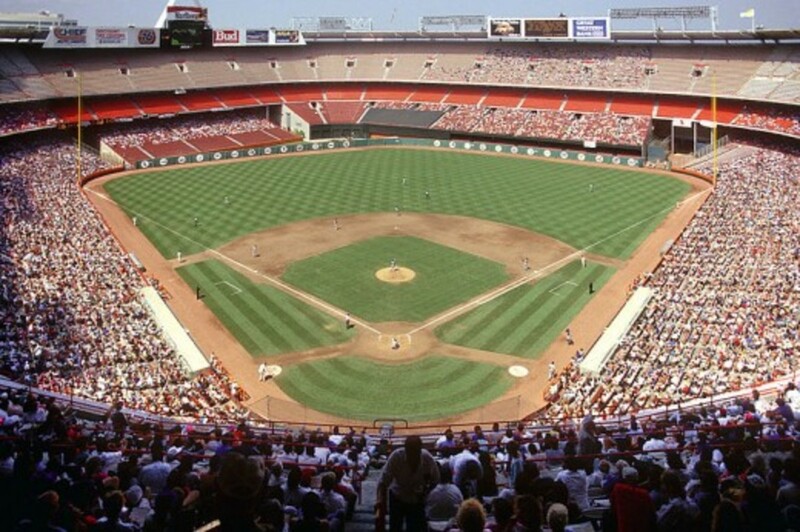 Veterans Stadium (3501 S. Broad St., Philadelphia, PA: Philadelphia Phillies; NL; 1971-2003. 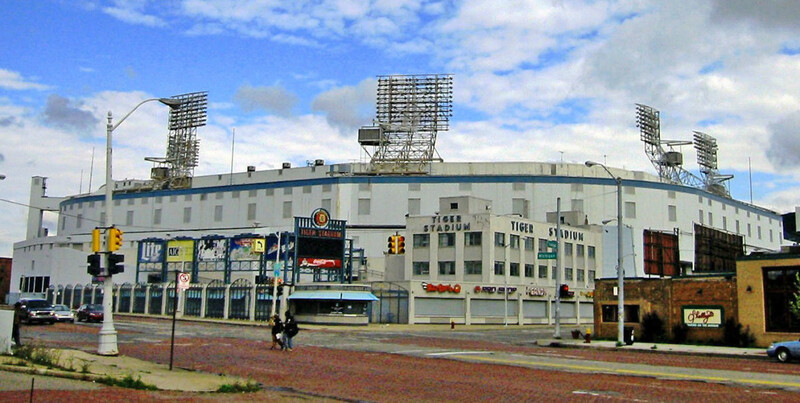 The “Vet” was torn down in 2004; the land is now a parking lot for the nearby South Philadelphia Sports Complex which includes the home of the Phillies; Citizens Bank Park (One Citizens Bank Way). 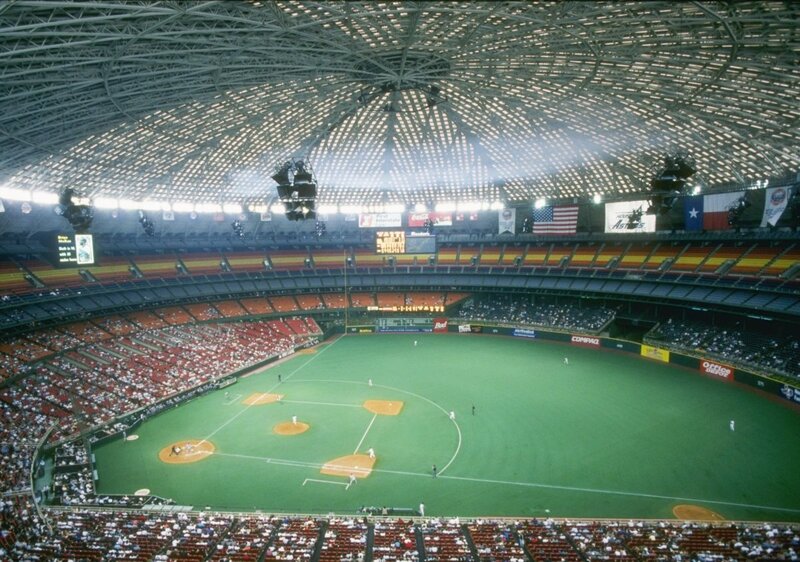 Astrodome (8400 Kirby Dr., Houston, TX: Houston Astros; NL; 1965-1999). Plans to demolish the Astrodome have come and gone. In 2017, the Texas Historical Commission designated the facility as a State Antiquities Landmark; meaning that the Astrodome may not be damaged, removed, changed or demolished without permission. 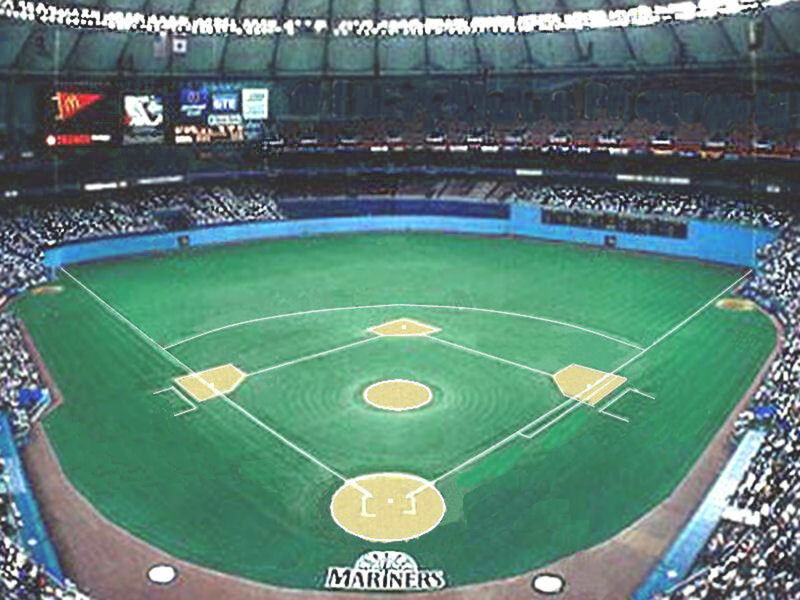 Kingdome (201 S. King St., Seattle, WA: Seattle Mariners; AL; 1976-2000). The Mariners now play at Safeco Field (1516 First Ave. S), which has a retractable roof. The Kingdome was demolished in 2000; the site contains a multi-purpose stadium that houses the NFL’s Seattle Seahawks. Inside the Hubert H. Humphrey Metrodome: Minnesota Twins; 1982-2009). Hubert H. Humphrey Metrodome (900 S. Fifth St., Minneapolis MN: Minnesota Twins; AL; 1982-2009). The Metrodome was built to allow sporting events to take place during extreme weather conditions, specifically for football in the winter, but the Twins called it home until voters approved funds to construct a baseball stadium. In December of 2010, 17 inches of snow and ice caved the roof in the vacant Metrodome; the roof underwent a series of repairs. 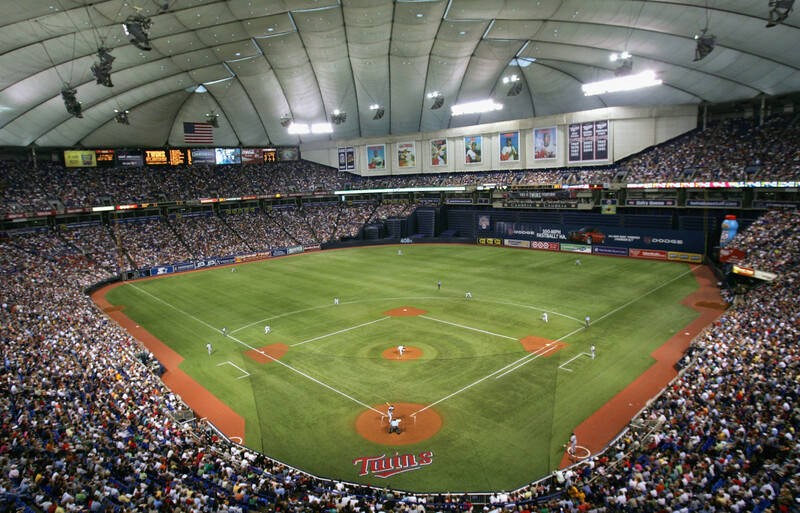 But with the (NFL’s) Minnesota Vikings and (MLB’s) Minnesota Twins in new stadiums, the Metrodome was torn down in 2014. 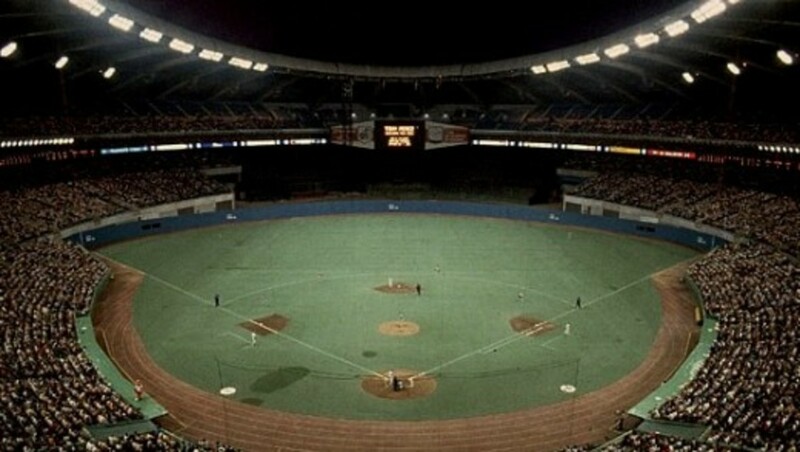 Olympic Stadium (Montreal, Quebec: Montreal Expos; NL; 1977-2004). The Expos left Canada to become the Washington Nationals (2004) and since then, Olympic Stadium has been used for various other events. However, plagued with maintenance problems and unable to attract a steady tenant, the facility faces an uncertain future. Stadiums built within the confines of city streets in the early to mid-1900s were created with various outfield dimensions. For example, Boston’s Fenway Park spans 302 feet from home plate to the right-field foul pole, 380 feet in right-center, 420 feet in deep-right-center, nearly 390 feet in straight-center field, 379 feet in deep-left center and 310 feet to the left-field foul pole. Some stadiums, such as Cleveland’s Municipal (Lakefront) Stadium, constructed off the shore of Lake Erie, had symmetrical field dimensions. From home plate, Municipal’s field spanned 322 feet on the right and left sides, 385 feet in left-center and right-center, and 400 feet in straight-away center field. Great Hub, I love the history behind different sports, and Baseball is so quintessentially American. Too bad we couldn't preserve some of these. Great read! I wish I could have visited more than just Wrigley Field and Guaranteed Rate Field. Thanks, Mike, I really do appreciate the compliment. My husband and I saw our first game at Wrigley Field last year; it was a real treat! I really loved putting this piece together. Excellent article! Very well done. The first professional baseball game I ever saw was at Forbes Field. 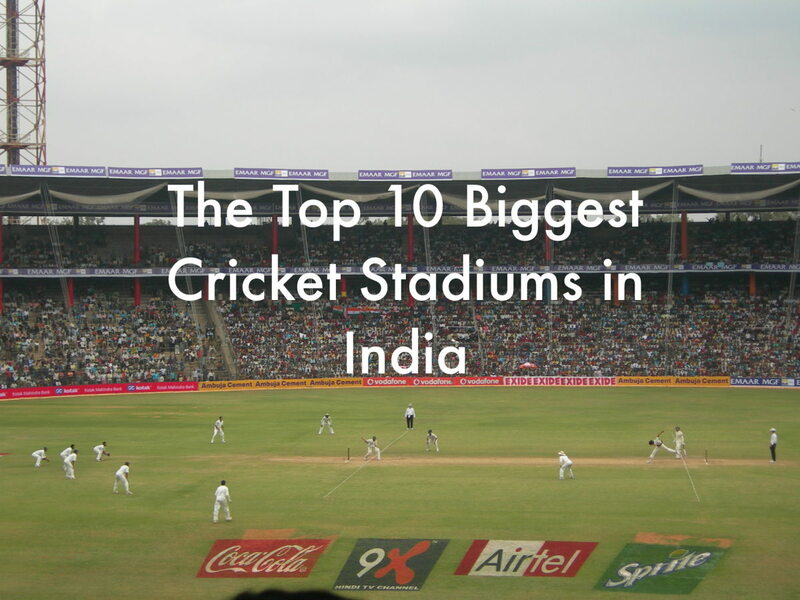 I've been to the old Yankee Stadium, Fenway park, Candlestick park and others. Brought back a lot of good memories. Enjoyed reading thins.